With so many different products being produced by the beauty industry today, it can be difficult to decide which are appropriate for your skin’s specific needs. Having such a variety to choose from, and making the right choice, can be confusing and time consuming, due to the vast amount of information to research before you find the right solution for you. We have taken this opportunity to give you a detailed insight into some of the main ingredients in Stratum C, so that you can have a clear understanding of what makes Stratum C Menopause Skin Care stand out from the crowd. A peptide is made up of amino acids, naturally occurring proteins that are the building blocks of life. Peptides have been of interest to the medical and pharmaceutical sector because of their role in wound healing and skin care and have been researched extensively. Peptides such as Matrixyl (a combination of 2 peptides named Palmitoyl Oligopeptide and Palmitoyl Tetrapeptide 7) activate a biochemical process that helps increase the stimulation of collagen. This strengthens the skin’s elasticity and improves tone and suppleness. Other peptides work together to make the muscles under the skin tighten. This method of flattening facial muscles to reduce fine lines and wrinkles using a topically applied cream or serum is far safer than the invasive procedures such as the paralysis of muscles using Botox injections. Stratum C relies heavily on clinical and scientific evidence. Our ingredients have been proven in peer reviewed, scientific literature (including the Journal of molecular Pharmaceutics) to increase the skin’s production of collagen by 70%. In a separate clinical study Stratum C Protect Cream was shown, using computer skin topography to reduce deep wrinkles on the face by 50% in 28 days and to increase skin tonicity by 20%. What peptides are used in Stratum C? – Matrixyl – a combination of two peptides which increase collagen synthesis in the skin naturally. 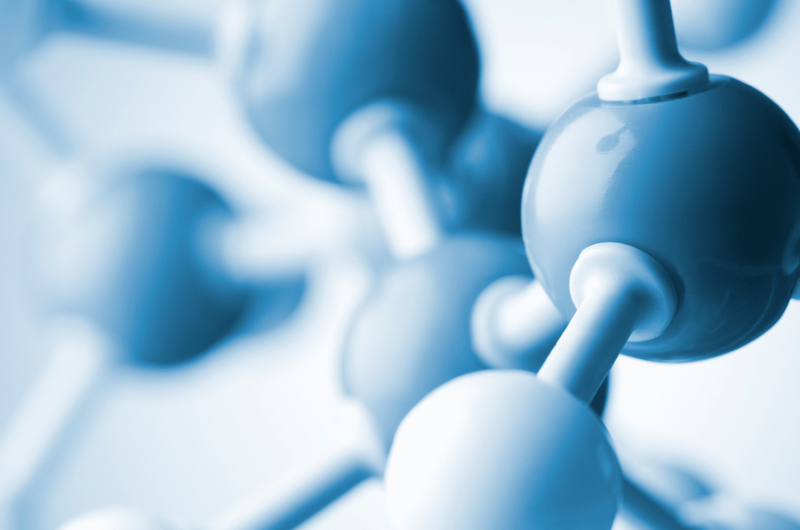 Scientific names: Palmitoyl Oligopeptide and Palmitoyl Tetrapeptide 7. – SYN-AKE – often known as the ‘snake venom’ peptide due to it’s ability to mimic the effects by relaxing muscles under the skin, which helps to reduce wrinkles on the skin surface. Scientific name: Dipeptide Diaminobutyroyl Benzylamide Diacetate. – Leuphasyl – weakens muscle contraction and has a synergistic effect when working with other peptides to reduce wrinkle formation. Scientific name: Pentapeptide-18. – Argireline – known as the ‘botox mirroring’ peptide, instead of paralyzing the muscle, this peptide intercepts the message to the brain that cause the muscle contraction of facial expression, allowing the muscle to relax and assist in reducing facial wrinkles. Scientific name: Acetyl Hexapeptide-8. – SNAP-8 –A powerful wrinkle inhibitor that has been shown to reduce surface muscle tension and reduce wrinkle depth by relaxing expression lines for smoother skin appearance. Scientific name: Acetyl Glutamyl Heptapeptide-1. These peptides work together to reduce lines and wrinkles and are proven to have improved efficacy when used as a combination rather than individually. How is Stratum C different to other products on the market? The total concentration of peptides in the Stratum C Protect Cream and Repair Serum adds up to 20% of the total product – which is higher than many other products on the high street. Stratum C also uses much less water and much higher levels of Hyaluronic Acid for restoring skin moisture. The range also uses much less preservative – less than 1% – which can sometimes be included in high concentrations in some products and can often be irritating to the skin. We have also ensured that Stratum C products contain high levels of anti-oxidants such as natural oils as base ingredients which contain natural vitamins and help to reduce free radical damage from sun exposure. Additional Hyaluronic Acid has also been used, holding over 1000 times its weight in water to keep skin plump and hydrated, promoting collagen growth and replaces that lost in the body as we age. This combination makes Stratum C products ideal for all skin types, even sensitive skin, which can be particularly problematic during menopause. 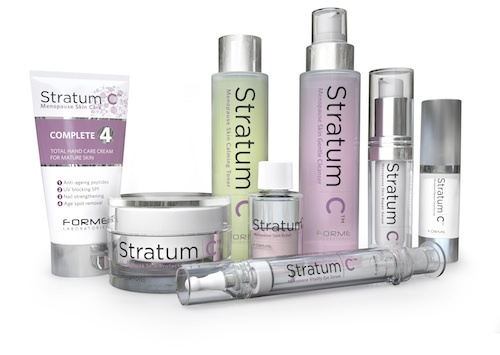 For more information on Stratum C, you can visit our website www.stratumc.com where you can read about the science behind the brand and the great benefits to your skin that our products can provide. You can also contact us on +44 (0) 1252 267 950 to speak to a member of our team and we will be happy to answer your questions.